The case, in platinum, measures 42mm or 40mm. It has double sapphire crystals. Movement is the Swiss automatic FP Journe in-house caliber 1300.3 with 37 jewels, 21,600 vph and a power reserve of 160 hours. Functions are: hours and minutes, small seconds at 4:30. 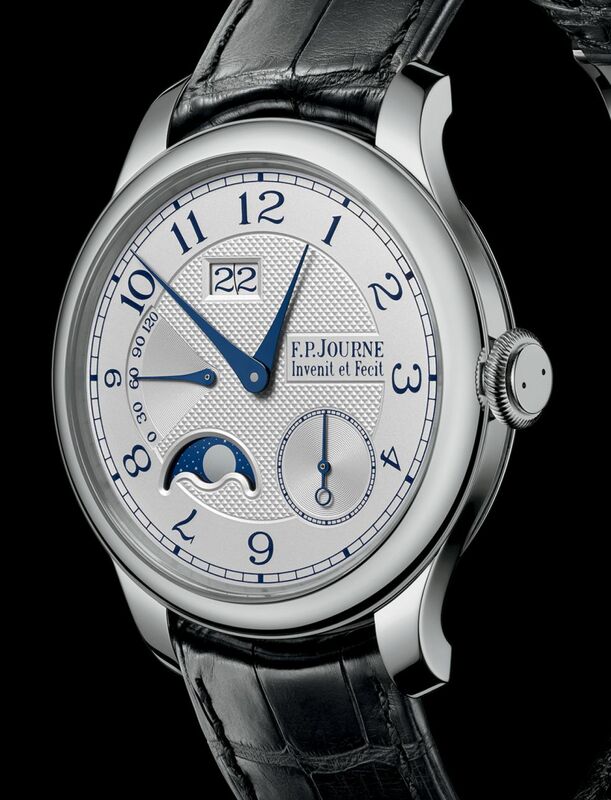 Large date, power reserve indicator at 9 o'clock, and moonphase indication. 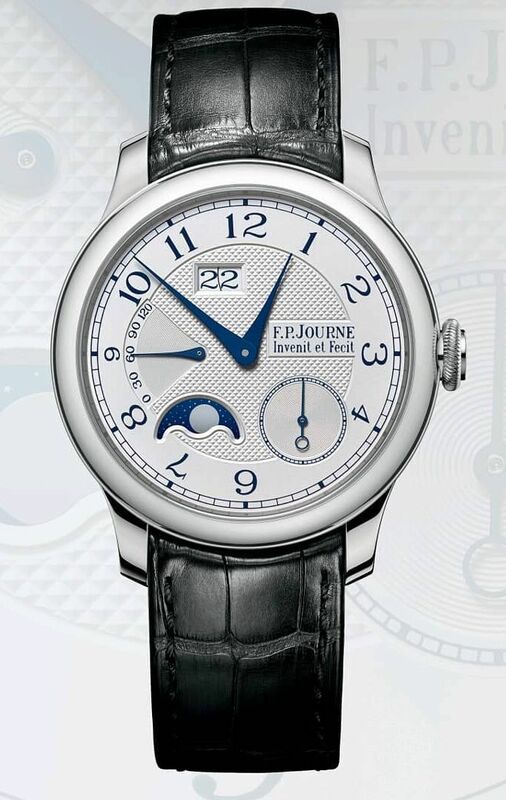 The whitened guilloché silver dial has blued steel hands. Blue numerals. The dial is done in-house by "Les Cadraniers de Genève". Blued steel hands as well as blue inscriptions and numerals, perfectly matching the blue of the sapphire moonphase disk. It comes on a black alligator leather strap with a platinum buckle. I'm glad to see this style dial return to the line, particularly in the pt CS, it was very nice. but I am unsure what are the changes versus the original version - perhaps the "very large date" window?